Pro Libertate: The Gulag State, Take Two: Breyer Proposes an American "Law of Suspects"
The Gulag State, Take Two: Breyer Proposes an American "Law of Suspects"
There are occasions when I wonder if the world-historic purpose of the Soviet Union's 74-year existence was to provide a first draft for the terror state our own rulers are constructing. Last week's oral arguments regarding the suspension of habeas corpus – in particular, a colloquy between Justice Stephen Breyer and Solicitor General Paul Clement – was one such occasion. Apparently, it isn't enough that the Military Commissions Act (MCA) eviscerated the habeas corpus guarantee, which is the indispensable foundation of the Anglo-Saxon system of individual liberty under law. It is insufficient for the Bush Regime to embrace a despotic vision under which the Chief Executive can consign specific individuals to prison in perpetuity, with no prospect of parole. Breyer is suggesting that Congress needs to refine this crude pre-medieval practice into a system of pure totalitarian tyranny by institutionalizing preventive detention – and that the Court would be amenable to such a solution. Don't be surprised if Congress acts on that suggestion. What Breyer seems to be seeking is a measure permitting the government to seize, and imprison forever, anyone it deems to be “dangerous.” The MCA already codifies the supposed authority of the president to detain individuals designated terrorists or “unlawful combatants.” Under a measure of the sort suggested by Breyer, the threshold for imprisonment would be much lower, and mass incarceration of “dangerous” people would become an acute possibility. 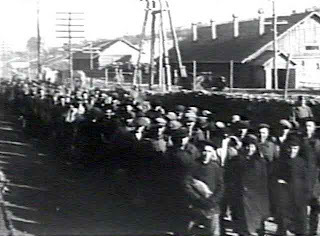 The notion of preventive detention of “dangerous” people is entirely foreign to the American concept of law, which is rich in impediments – such as the Constitution's proscription of bills of attainder and expropriations based on “corruption of blood” -- to arbitrary incarceration or punishment of people who have broken no laws. Breyer's suggestion – which was made in all apparent seriousness, and with some urgency – is inspired by a more “modern” legal tradition with its origins in the bloodiest phase of the French Revolution. What Breyer seems to have in mind is a contemporary version of the 1793 “Law of Suspects” enacted by France's ruling junta at the depth of the revolutionary terror, or Article 58 of the Soviet Basic Penal Code. Promulgation of the Law of Suspects is generally recognized as the beginning of the Revolution's most radical phase. It “brought forth both the levee en masse [general conscription] and the Terror,” points out David A. Bell of Johns Hopkins University in his new book The First Total War: Napoleon's Europe and the Birth of Warfare as We Know It. 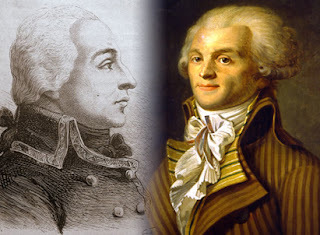 The strong arm, and the sinister brain, of the Revolutionary Terror: Alsatian General Francois-Joseph Westermann (left) liquidated tens of thousands in the Vendee, in furtherance of the terrorist designs of Maximilien Robespierre (right). That year also saw the beginning of the civil war in the Vendee, a conflict that began after the traditional Catholic residents of that department rebelled against the conscription of their sons to fight against other Catholics abroad on behalf of an anti-clerical government. The war against the Vendee would prefigure modern totalitarian wars of extermination from Soviet Russia to Khmer Rouge-dominated Cambodia: Hundreds of thousands were slaughtered in campaigns that included mass drownings (called “republican baptisms”) and even through crude chemical and biological warfare. The Law of Suspects was central to a system of “laws” intended to legitimize such systematic murder. It was enforced by a Committee of General Security, which acted through local Committees of Surveillance and enforced its rulings through a Revolutionary Tribunal (and its local appendages). In the Vendee, counterrevolutionaries – whether militia or civilians – were often subject to summary execution as unlawful combatants by military commissions. It's hardly coincidental that Lenin and his squalid little clique of murderers and perverts drew inspiration from the Jacobin campaign against the Vendee. And in 1922 the Bolsheviks created their own Law of Suspects by creating a Commission on “exiles” -- meaning people to be deported to the embryonic Gulag Archipelago – and then issuing a law against “socially dangerous persons” in Article 58 of the Basic Penal Code. Article 58 was the legal foundation for the Gulag state created under Lenin, perfected under Stalin, and that remains, in residual form, today in post-Soviet Russia. It was the purebred offspring of the Jacobin Law of Suspects. 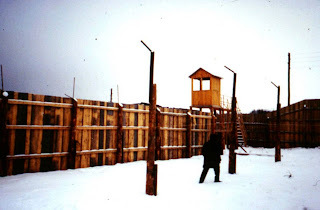 And if Congress acts on Justice Breyer's urgent advice to enact a law for the preventive detention of “dangerous” people, America will have completed its legal transition to a Soviet-style gulag state: It will only be a matter of time before the camps are built and filled with “socially dangerous” people. Consider this: There are roughly 120,000 people who are either on the Regime's “No-Fly List,” or subject to detention and additional scrutiny at airports. These are “dangerous” people who are already subject to a form of preventive detention, albeit of an annoying, rather than potentially lethal, variety. Consider this, as well: Under a July 17 executive order, the Wee Emperor claimed the right to expropriate those individuals that he and his subordinates believe are interfering with the war effort in Iraq. Shocking as this is, it falls well short of the powers Justice Breyer's proposal would confer. But summary expropriation occupies the same continuum as summary imprisonment, and outlawing domestic political opposition by decree is unmistakably akin to the logic of the Law of Suspects. Bush and Breyer appear to be working from different paragraphs on the same page -- or on different sections of the same totalitarian blueprint. If you want a peek at what their project will look like when it's done, you'd better brush up on your Solzhenitsyn. They have already built the camps!! I was reading again recently on one of my favorite topics of interest, military history, and specifically the Battle of Waterloo as relayed by historian Joseph B. Mitchell in Twenty Decisive Battles of the World (1964), a rehash (with his inclusion of five additional major battles) of Sir Edward Creasy's original 1851 book, The Fifteen Decisive Battles of the World. The Bourbon kings of France were restored to the throne in the person of Louis XVIII, who promptly forgot that it was not Napoleon who had been responsible for the uprisings against his predecessor. 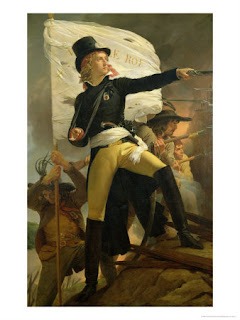 It was the people of France who had initiated the revolution and the first ten years of war. The people, whose motto had become Liberté, Egalité, Fraternité, of course got much more than they bargained for with Jacobin philosophy. Sigh, this is always the case when the commoners ignite a revolution whimsically or in knee-jerk fashion because of some arbitrary rage against the contemporary establishment of the given era in question. No matter the culture or the people involved, a revolution or uprising with no Judeo-Christian moral foundation undergirding it, is doubtless futile and will fail. Cuba is merely but another splendid example. The people hated Batista and the expoitation of the peasant class by the American richie class and its cabal of loathsome mobsters, and so they received in return that paragon of "Liberté" and Egalité, Fidel Castro, instead. Utopia has reigned ever since. The way I see it, personally, is that the majority of Americans really do want greater government control and regulation in spite of their meaningless screams for Liberté! As just one example, you only have to look at most people’s thoughts about so-called “net neutrality” and the fact that the people desire government regulation for what they perceive as wrongs. Yet, I’d wager all that these same folk would no doubt be among many of the ones screaming the loudest about Liberté in general! What the writer fails to acknowledge is the fact that ethics subverted by greed within some companies have done harm to people for the sake of expanding profit thereby inviting regulation on themselves by the representatives of the people whom they were abusing. Given their record, does ther writer really think we are dumb enough to trust the telecoms? ...that the exact same greed applies to those within the government which will be setting the rules. We may or may not be "dumb enough to trust the telecoms", but are we also dumb enough to trust the politicians? Given the choice, I trust the telcoms more. At least they don't posess the legal right to violate my civil rights. "the exact same greed applies to those within the government which will be setting the rules"
If you read out Constitution you will learn that WE are the government. With that in mind, your sentence makes little sense and is in fact insulting to the people of this country. Sigh, some folk apparently do not realize just how unintentionally poignant and truly indicting their comments are about US, the people, and that WE, a supposedly self-governing people, indeed are largely to blame! And so it goes in other areas of economics, culture, religion, etc. 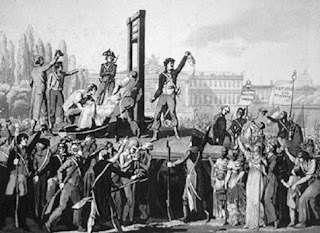 Most people today, Americans and Europeans, as did the hapless "pioneering" French commoners of the latter 18th century, overwhelmingly believe that Egalité is on the same plane as Liberté. However, one can only faithfully be orchestrated on a societal scale at the expense of the other; indeed, the two concepts are NOT mutually inclusive. America’s commoners took a lot longer to be programmed to believe such nonsense. Today, however, the vast majority of Americans believe precisely this nonsense. People today will say the “Civil War” was fought over slavery and that Lincoln set us on a footing towards Egalité! But, as history has shown and hindsight being 20/20, the price of Egalité is the loss of Liberté! But the average commoner today simply refuses, or is unwilling, to fathom that thought. I don't understand why Breyer would suggest a "Law of Suspects". Doesn't the MCA06 already "institutionalize preventive detention"? There seems to be no end to laws and more laws upon laws. It is inevitable that with greater pressure put upon the populace that greater numbers of people will be squeezed through and then proclaimed to be "evidence" that the laws are indeed working and therefor calls for more "laws" will rise up to the heavens. Ad infinitum. The Biblical stories about rulers burdening the people with laws that they themselves do not adhere to sounds awfully familiar.